But it’s a trainwreck that takes a huge amount of pages of constantly melodramatic description to get to that destination. It’s not a fun read, it’s so long and lacking in so much else beyond these endless maudlin monologues.I can appreciate what it is depicting, I appreciate the new take on these tropes, I really like that we’re seeing this repeated depiction through a darker - more realistic lens. But I just didn’t enjoy reading it. While the first half feels very slow without a lot beyond monologues about how much they love and adore each other, the second half as the opposite - appallingly fast-forwarded. The battle with the vampire within, what that means, the vampire queen, the creation of new vampires all was rushed by. It was too fast, too undeveloped and I was both running to keep up but also struggling to actually care because there seemed to be so little development. The vampire queen’s history and the underlying conflict was delivered in an info-dump without a lot of reason for me to be invested in it. In the end I feel frustrated by this book or possibly by myself. 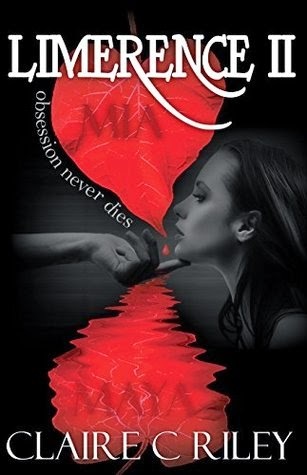 Because I love what it does - I love it’s depiction of obsession as destructive in a genre that all too often elevates it to the height of romance. I like that this book is a trainwreck, I like how I can see this obsessive romance leading to a complete disaster. I like how all this is predictable, how the obsession drags them down, how you can see the disaster coming but know it’s inevitable because of the tropes involved. But I don’t like the book. I’m impressed by it, but I didn’t enjoy it.